Savers are well versed by now in the importance of exercise to physical health, mental well-being, and strong bones. The next step is understanding the how and why of the processes that make exercise such a valuable tool for improving and maintaining your health. Today you’re going to learn about the relationship between energy and muscle function, looking closer at how your body processes the macronutrients in foods into energy so your muscles can utilize it when needed. You’ll see how different types of exercise have varying impacts on your body and utilize energy via different metabolic processes. You can use this knowledge to exercise more efficiently by providing your body exactly what it needs to achieve your health goals, including building your bones. Let’s dive in! There are three basic energy systems to provide your muscles with the energy they need. The phosphagen system, or immediate energy system, provides you with quick energy right away. The glycolytic energy system, also called the anaerobic or non-oxidative system, supplies energy for short stints of action. The final system is the oxidative or aerobic system that fuels endurance activities. Almost every physical task engages a combination of these systems to supply your body with the requisite energy, but the ratios are dramatically different depending on the length and intensity of the action. No matter the combination of systems, the end result is the utilization of ATP, or adenosine triphosphate. ATP transports energy between cells and powers every motion your body makes, facilitating muscle contraction. The phosphagen system utilizes ATP that is already available in your body.1 The other energy systems involve a process for generating the energy you need. However, that process requires time to complete, and that’s where the phosphagen system goes into effect. It’s what enables you to complete difficult but brief physical actions like dashing up a flight of stairs, lifting something heavy, or sprinting to catch a bus. This system is only functional for about 5-10 seconds. After that, the body must produce more ATP, using its other energy systems. This system is sometimes also called the Aerobic Energy System or Mitochondrial Respiration, the latter named after the mitochondria, which are the organelles that produce cellular energy. It’s a set of processes and metabolic reactions that allows you to maintain physical energy for an extensive period of time. As you know, you have to breathe to get oxygen into your blood. This oxygen is carried to your muscles and used to power physical activity. 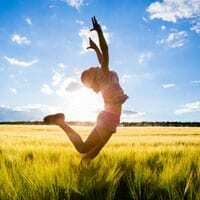 The oxidative energy system comes into play when your body is receiving enough oxygen to meet the demands of the physical activity it is performing. The clearest example of this system at work is in long distance running. Marathon runners are able to keep going because they are providing their body with the oxygen needed to produce the required energy as they use it. But even far less strenuous forms of physical activity are engaging this system, like going for a walk or dancing. More strenuous types of durational exercise accelerate the respiratory cycle, forcibly using higher quantities of oxygen. This leads to an ironic juxtaposition: oxygen is both required, yet potentially harmful due to oxidation, which causes the production of damaging free radicals that roam your body attempting to steal an electron from a healthy cell. This can create a chain reaction of free radicals or Reactive Oxygen Species (ROS), throughout the body, unless the free radicals encounter special molecules that can offer up an electron: antioxidants (more on this later). Between the ready-to-go energy accessed by the phosphagen system, and the sustainable energy production of the oxidative system, there is a third energy mechanism. The glycolytic or anaerobic energy system is the way in which your body enables actions that require more oxygen than it has readily available. For actions ranging from a few seconds to a few minutes, this system springs into action, producing the ATP your body needs through a series of biochemical processes. It involves the breakdown of glucose to a molecule called pyruvate, producing a small amount of energy. Then, as oxygen supply is depleted, the pyruvate is converted into the molecule lactate. Your body uses lactate to rapidly produce ATP for your muscles. The type of exercise that provides the best bone building benefits tend to engage this process. These last two energy systems correspond to Aerobic Exercise and Anaerobic Exercise. You’ve probably heard of these two categories before, now you know where their names come from. Let’s have a look at how and why these two forms of exercise affect your body differently. Running or jogging, taking an aerobics class or a dance class are an example of aerobic exercise and a way to burn fat and improve overall health as well as cardiovascular health. Challenging physical activities that last only a few minutes use glycolysis. This includes most forms of resistance and weight bearing exercises, like the various types of squats, presses, poses or curls that target specific muscles and bones to build density. The energy that powers this anaerobic process comes from glucose that is stored in our body, where it is called glycogen. As mentioned earlier, you hold reserves of glycogen (1,500 – 2,000 calories worth) in your liver and your muscles, which are significant locations for this molecule to reside. After about 10 seconds of physical activity, the phosphagen system has used up the readily available ATP and glycolysis begins accessing the glycogen for anaerobic energy production. A few minutes later, oxidation kicks in and this anaerobic process is overtaken by the aerobic one. This sounds like a simple one-way relationship, but it’s actually a bit more complex and nuanced. Just because you’ve moved from anaerobic to aerobic energy production doesn’t mean that you don’t continue to use glycolysis to a lesser degree. The ratios may also shift during exercise. For example, when a marathon runner increases her pace to sprint to the finish line, she demands more energy of her muscles than the oxidative process can supply. In that moment, glycolysis will pick up the slack and hours of aerobic exercise is finished off with an anaerobic burst. There are a couple of simple ways to notice when your body is switching between the systems. An increase in heart rate can tell you when you shift from aerobic to anaerobic exercise. This will be paired with muscle fatigue and deeper more frequent breathing. The ability to sustain a particular intensity level is another telling indicator. If you can engage in an activity for more than a few minutes without losing intensity, then you’re doing aerobic exercise. If you get tired and need to rest or reduce intensity after two or three minutes, that’s an anaerobic exercise. Savers know that exercise is very important to general health and to build stronger, younger bones. This was first observed and explained in the 1800s by a German scientist named Julian Wolff. Wolff’s Law describes the process by which the action of gravity and muscle on bones stimulates new bone growth. Weight-bearing exercise, and in particular short bursts of muscle activity, provide the tension and stress that triggers this bone formation, making your muscles and bones stronger. Today you’ve learned how the body accesses available ATP rapidly used during quick intense physical actions, how it processes stored glycogen into pyruvate and then lactate during anaerobic exercise, and how it more slowly creates sustainable energy through the oxidative process of aerobic exercise. You also know the importance of exercise utilizing these energy systems to creating new and strong bones, thanks to Wolff’s law and more than a hundred years of scientific reinforcement since. But every output requires an input, and this truth is exemplified by the incontrovertibility of energy. What do you need to provide your body so that it can power you to strengthen your bones and maintain your good health? Bearing in mind that the most effective (and least time-consuming) targeted exercise for bones is anaerobic, let’s begin with the fact that carbohydrates are the only macronutrient your body can turn into usable ATP during anaerobic exercise. Remember the glycogen that your muscles tap during glycolosis? It comes from the carbohydrates that you consume. After you use those stores to exercise, your body needs to replenish them. Similarly, after you practice weight-bearing exercises your muscles need to rebuild themselves. Building muscle mass has direct bone health benefits because stronger muscles put more stress on your bones, stimulating new growth even while at rest. Before you workout, it’s important that you provide your body with enough carbohydrates to accomplish your exercise goals. You should know that not all carbs are created equal. Fiber-rich fruits and vegetables contain carbohydrates that are better suited to serving your body. And which ones you eat matters a whole lot. Another benefit of turning to fruits and vegetables for energy production is a boost in antioxidants. I mentioned earlier that the oxidizing effect of aerobic exercise, while important to maintaining activity, also introduces harmful free radicals into your body. Antioxidants are the solution, and by eating antioxidant-rich fruits and vegetables, you solve the problem before it even starts. It’s incredibly important that you replenish your body before and after you exercise. That’s why I created the Densercise™ Eating Guide. 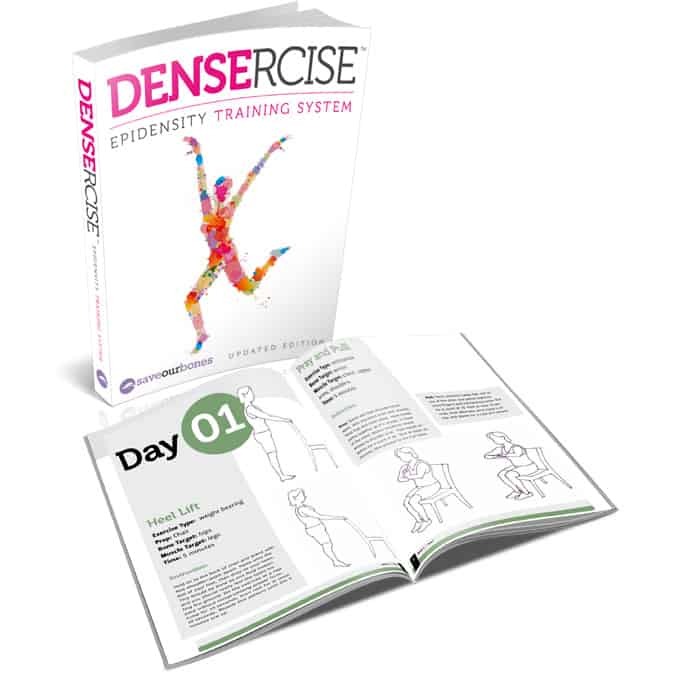 It’s a companion to the Densercise™ Epidensity Training System, and is included as a bonus. In it, you’ll find the evidence-backed information you need to eat the right amount of the right food at the right times to get the most out of exercise. The Densercise™ Eating Guide explains how to supply your body and your bones with the fuel they need to maximize your bone density increase. It gives you the exact foods you should eat before and after exercising, and which nutrients are contained in those foods. Exercise should be simple and manageable, and so should knowing what to eat to get the most out of it. Use the knowledge you’ve gained today to make the most of your physical activity and live your life to the fullest. 3 Ortenblad, N et al., “Muscle Glycogen Stores and Fatigue.” Journal of Physiology (2013). Accessed on September 30, 2013. Vivian I haven’t got my flu shot & everyone keeps urging me to get it.? I’m a basically healthy 65 yr old who takes immune emergen C & Epicor another natural immune tablet. I exercise & do densercise. However I watch my almost 2 yr old grandson & my daughter says the flu is so bad this year & so many people have died & wants me to get the shot I know it’s only 15-17% effective though. Any thoughts?? I’m so sorry – I didn’t mean to be rude saying that I’d lost motivation for the dancercise programme. I do appreciate all the information you provide for us re exercises and up to date info on everything connected to our bones. If you could find time to give me a quick answer to my query 13 dec. I would so much appreciate it. (max setting )which you stand on for 10 Min a day in regard to strenghing bones? I would like to know as well. My NP suggested a power plate as I have s stress fracture in one of my legs. Despite having a bone density reading of -3 two or three years ago, I seem to have lost dancercise motivation 🙁 ! Having said that, I bounce on my mini trampoline for at least 30 mins almost every day, and walk for about 20 mins almost each day, plus stretching etc, qi gong/yoga. The last three things only for 5-10 mins altogether because I just do a selection. My question is about my trampolining : I don’t bounce completely off the surface, (well, I am 69), but I do make my bounces come down harder on my heels than the sole of my foot. Because I’ve been feeling a bit of weakness in my mid/ lower back and hips, I’m wondering if I should be doing less bouncing and concentrating on more specific dancercise. Thank you Vivian, I would so much appreciate your opinion. Thank you Vivian, your site has become the best source of real information based on science, not on hype. As for high intensity, anaerobic works wonders. 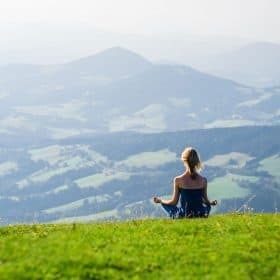 With careful breathing, Dr. Buteyko in Russia long ago discovered that if you breath in such a manner to constantly feel a need for more air while exercising, the transport of oxygen from the lungs to the cells becomes more efficient. I personally experienced this, never in 61 years of life could I run without breathing through my mouth very hard, no I can breath through my nose only while running and my heart beat being at 160 per minute. What is your opinion on the shingles shot ? For my job request ,they recommend me to have hepitide B vaccine ….what do you think .? ?i have osteoprosis and hashimoto .does it safe to have this vacccine ?? 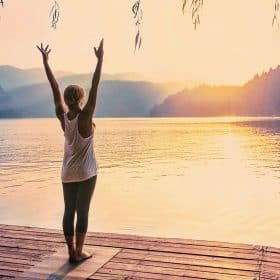 Love your excercises plus doing more yoga too. Yoga is good for bones, too, Aria. 🙂 Sounds like a great routine! Great article . It answers lot of my questions about the exercise and food we should eat to maximize results. Thanks Viivian. You are welcome, Teresa and Madlen! Your website has been VERY helpful to me! I also would like to know your opinion of the shingles shot. I try to stay away from vaccines as much as possible. Please check your inbox for a message from Customer Support. As a competitive race walker I am happy to have this information and to know I am doing a good thing for my bones. I now know I need to be even more careful about what I eat after workouts and competitions. I tend to be a little lax afterwards to “celebrate” my accomplishment. I now see that is a very bad idea. Pre event meals are a challenge and maybe I can come up with some new ideas. My coach eats steamed carrots. 🙁 I go for oatmeal with berries, pomegranate and coconut oil as well as a protein shake made with homemade veggie juice. I usually don’t finish this all and eat the rest of it afterwards along with more fruit. I stay away from the junk food provided…. although this weekend at the Florida State Senior Games they actually had watermelon juice with kale and spinach!!!! Anyone have any new and creative ideas for me? Vivian? Good for you for shunning the “junk food” provided at the races, and for being mindful of how you fuel your body before and after walking. Whey protein and antioxidant-rich foods are key, and it sounds like you can easily adjust your meals to include these foods. Thank you so much for your great information. Hi Vivian, thanks for the informative article. What is your opinion of the Biodensity machine as an addition to one’s exercise program for those short bursts of energy?